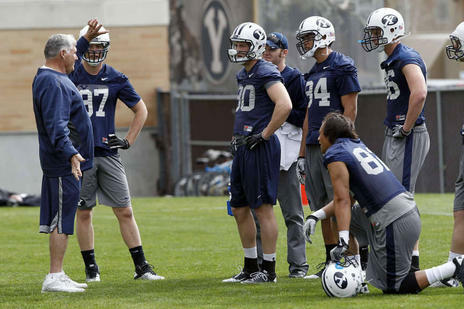 Lance Reynolds was kind of a Santa Claus figure for three decades of BYU football players. Kind, gentlemanly, and full of good cheer, he bridged time for Cougar football. He was a link to the Doug Scovil days of LaVell Edwards when it all began. Reynolds’ institutional knowledge of BYU was unmatched. He was the longest enduring personal connection to history on the coaching staff. After 31 years with the program, the assistant head football coach for the Cougars retired this past week, making the announcement at the Poinsettia Bowl. Former players remember him for his kindness, loyalty and virtue — a steady rock in a windy world.